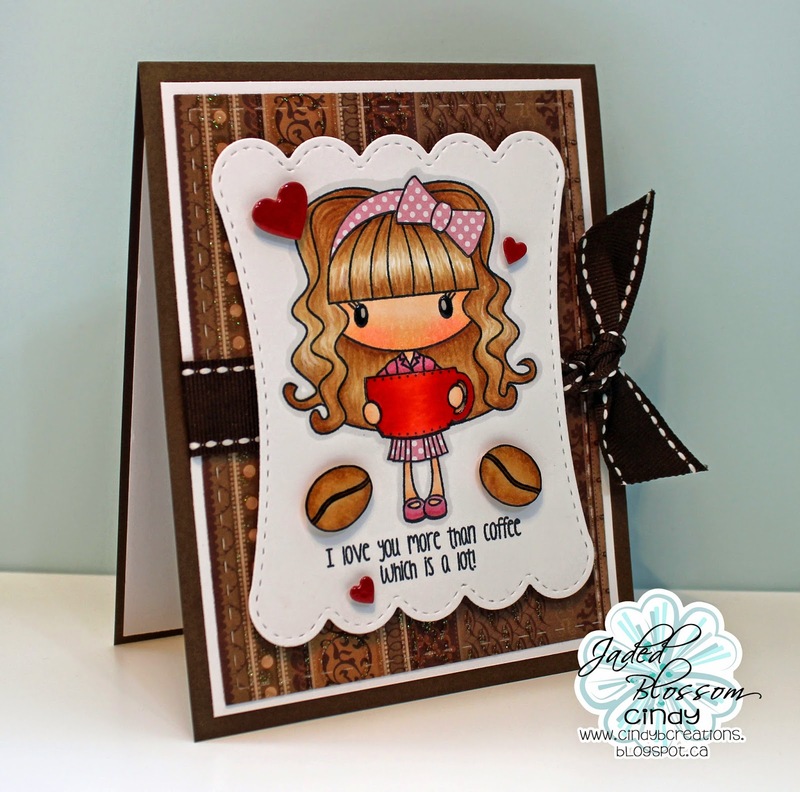 Jaded Blossom: I Love you more than coffee!!! 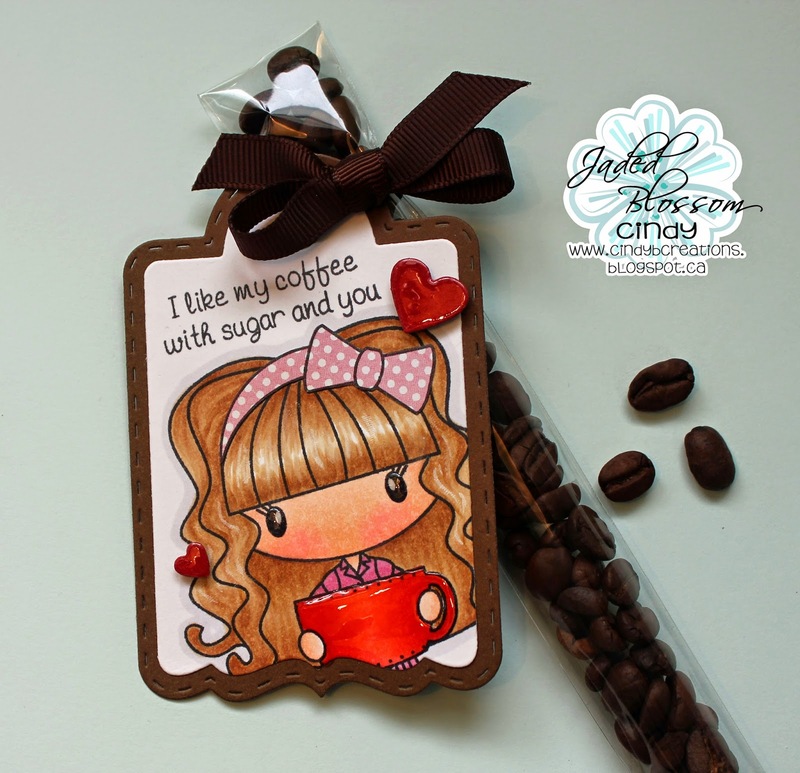 Today I made two projects to give to one of my friends, she is such a sweet friend!!! the Valentine Dies for the hearts. I colored this sweet image with my Copic markers and added some glossy Accents. I LOVE the way it came out, that image is ADORABLE!!! 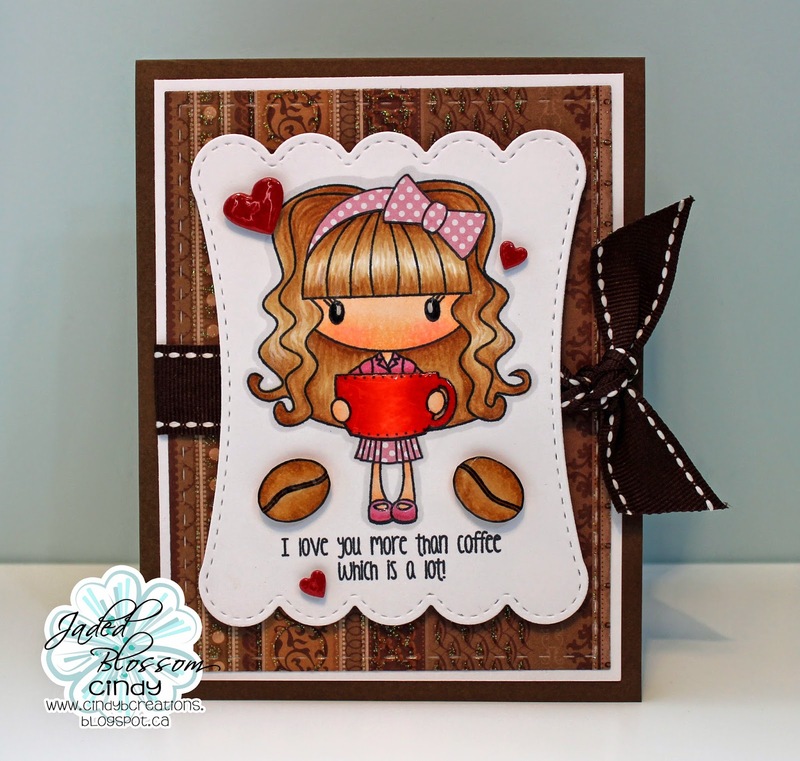 Here is my second project using the Java Time for the girl and the sentiment, the Treat Tag Die for the base of the tag, the Valentine Dies for the hearts and the 1x8 Clear Bags for the coffee beans. again I used my Copic markers and added some glossy Accents. 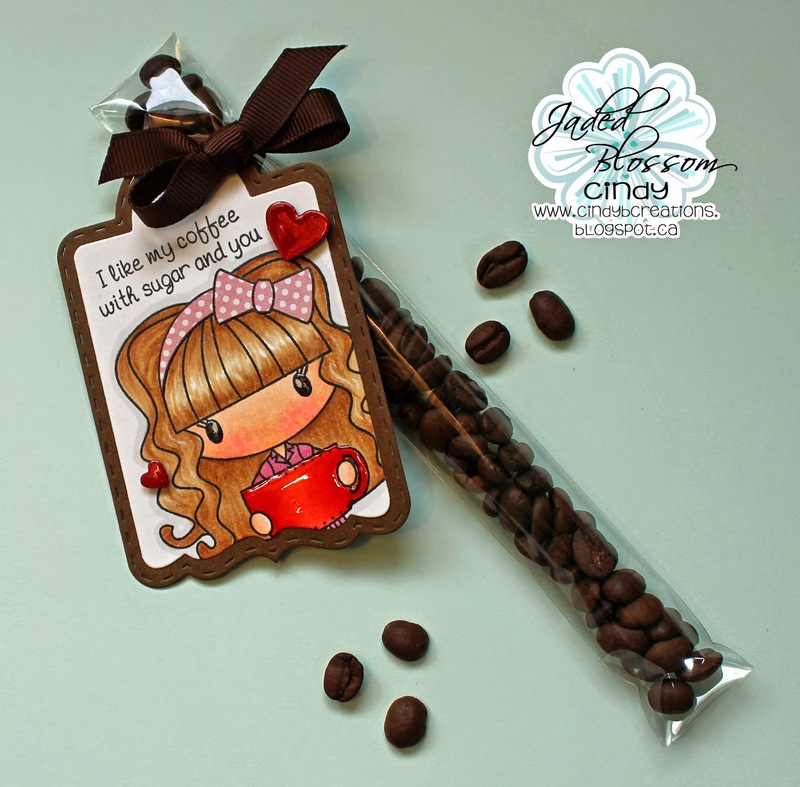 at Jaded Blossom - Valentine Treat!!! !